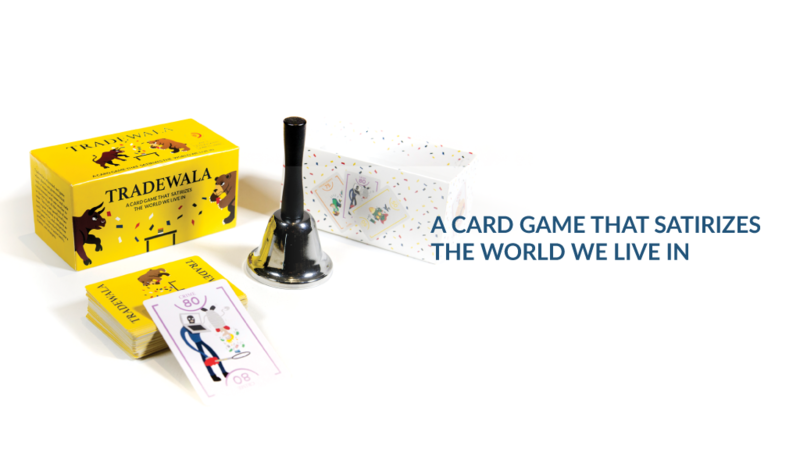 Tradewala is a new card game that's up on Kickstarter. In it, players are looking to collect a set of a single social issue. Much like trading stocks, it's about speed and getting what you want. The game is fast-paced and real-time. No turns. Just go-go-go! Get what you want, trade away what you don't need, and be the first to ring the bell to win. Tradewala (pronounced trade-wala) is a fast-paced satirical trading card game that sparks spirited conversation about monstrous and sometimes controversial social issues. Think about it: In today’s digital world, we regularly dialogue about current events—like politics, unemployment, education and cyber crime—often with people behind screens on social media. So, instead of trading company stocks or commodities, what if we trade these controversial social issues face-to-face and in real time with family, friends, colleagues and even strangers over a crazy fun time? The theme of the cards was created to align with an international audience. In today’s world, there is no shortage of serious topics that impact people’s lives. We captured many critical social topics and added a layer of satirical humor to provide a renewed sense of awareness with a smile. We created a card game that satirizes the world we live in to generate conversation of unsolved social issues in a fun and frenzied environment.